There are 3 areas in which most encounter stress; work, financial and personal relationships. Stress contributors are environment, genetic and personality makeup. It is the cumulative psychological and physical wear and tear on the person. The response and the inability of a person to cope with stress may result in illness. The excitement and challenge of “good” stress allows us to be at the top of our game and can enhance our efforts. The elimination of stress can be unhealthy and lead to depression. “Bad” stress that continues for a long period of time is “chronic” stress. Chronic stress can lead to damage to our immune system, disease and depression. It is long-term stress lasts two weeks or more. Pathological aspects of stress can drain the system of energy and resources. Some personality types can handle stress for longer time periods than others. Genetics and personality types affect how well we cope with stress. 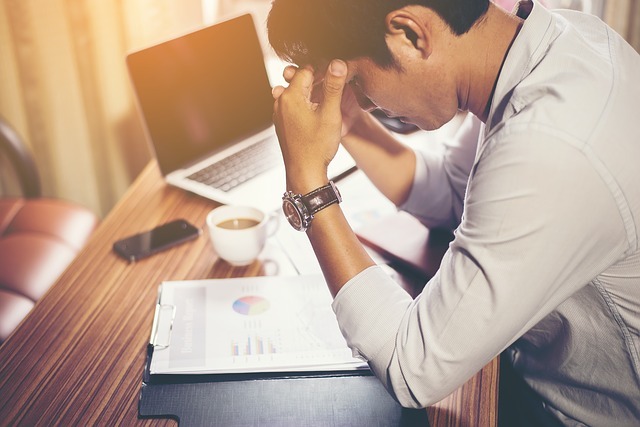 Type A personalities seem to thrive on stress as long as they were in control, able to exhibit anger and displeasure and can directly impact their environment. Type B personalities tend to internalize stress. They are calm on the outside but emotions fester inside. Too much stress can have the reverse effect and cause health problems. Our reaction to stress, such as constant worry, anxiety, the inability to make decisions and cope, leads to a lack of energy, fear and inactivity. The chemical reserves of our body protects us in the short term yet, in the long term key chemicals in the brain are exhausted and can lead to disease and illness. How does it impact your body? What chemicals are released? What are signs that you may have stress? “Bad stress” is what we think of when we hear the word stress. It can be summed up in one word, “worry”. Unlike good stress, in environments where there is an element of control, worry occurs when a person has little to no control of circumstances. It is when we continue to “worry” and fret over the same situation. We think about it day and night. What we need to do is realize this is happening and find an activity or socialize with our family or friends as a temporary relief. Bad stress becomes “chronic stress”, when it continues for a long period of time, begins to break down our body and have no coping skills to deal with the situation. Stress can affect our immune system. Good stress is when endorphins increase. Endorphin is a chemical response to reduce pain and its increase enables us to push our bodies to accomplish a goal. Good stress keeps us looking forward to the day, our work, our relationship and our creativity. It is the surge of energy and excitement to better enjoy life! What are the basics to controlling stress? First, be aware of the consequences of continued stress to our bodies. Find healthy ways to deal with stress such as exercise, eating healthy, adequate sleep and spending time with your significant other, family and friends. Also, recognize when you feel stress and learn to “cope” with it. A psychologist’s goal is to help clients identify stressors and develop coping strategies to deal with them before they cause systemic harm. What is your strategy for helping patients manage their stress? Coping skills. My strategy is Cognitive Behavioral Therapy (CBT) where the client learns to recognize and know the signs of excessive stress. Cognitive Therapy is structured with specific goals and a plan of action for the client. It addresses negative thinking and behaviors. The client learns to take responsibility for changing their thinking and work on techniques to help them process new information. In stressful situations, they master learned behavioral stress strategies will become automatic to deal with the situations n the future. Can medicines help someone lower their stress level? Anti-depression medication can be given to increase or recover necessary brain chemistry. Clients may take the medicine for a short period of time to help them as they participate in Cognitive Behavioral Therapy. When should someone seek medical help? When the person is unable to cope with chronic stress, it can lead to depression, anxiety and fear. The person who has chronic stress may be unaware of behavioral or physical changes existing. Family and friends may recognize these changes and encourage them to seek medical help. Have a physician conduct a physical and lab work. Physicians can work with psychologists to help clients develop coping skills to achieve the goals of health, happiness and wellbeing!